Credit card companies and banks are once again providing 0% introductory rates on transferred balances. Some years ago, it was ordinary to find balance transfer deals where there was no interest, no balance transfer fee, and the user was not charged any annual credit fee. In the past few years, with the tightening of loans during the economic crisis came an increase in balance transfer fees, a rise of between 3% and 5%. Nonetheless, the current crop of deals has begun to move back to the 0% balance transfer offers. In this article, we will look at how 0% APR balance transfer can help you in reducing your debt. The most simple and practical use of 0% APR balance transfer is to settle credit card balances with high-interest rates more swiftly. In case you are running a big credit card balance which is carrying an interest rate of 14%, 8%, 17% or even much higher, you can transfer that balance to the new card with a 0% rate. This will absolutely assist you in getting a head start on paying down that debt. The risk comes when a person continues to use a credit card after transferring the balance instead of just eliminating it and completely freezing it up until all the debt is gone. There are several people who have used 0% APR balance transfer offers to pay other bigger loans such as automobile loans, home equity lines of credit, and college student loans. This particular use of the balance transfer can be a little bit complex since the loan must be transferred to another 0% offer when the introductory period comes to an end or the full amount must be paid, otherwise, you might face an exceptionally high APR at the end of the introductory period. For example, if you owe $10,000 at 9% on your automobile, you can transfer that balance to a new credit card and then reduce your interest rate to 0% for between 12 and 18 months. By doing this, the payments will go 100% towards the principle for an introductory period’s length, and you can make great progress on paying down your balance. Nonetheless, when the introductory period is finally over, the rate could rise to a level that is greater than 9% unless you choose to transfer it once again or decide to pay off the pay balance this time around. The most appropriate time to use a 0% balance transfer for this aim is when you are very close to paying off a certain debt and if you know that you can totally erase the balance within the introductory period. Credit card arbitrage occurs when a person accesses a big amount of cash through a 0% APR balance transfer, then deposits the funds into an interest-bearing account, pays back the balance before the end of the introductory period, and then pockets the profit. Due to high balance transfer fees and the low savings account interest rates in the past few years, balance transfer arbitrage is unviable. The savings account interest rate must be higher than the credit card balance interest so that you can make a profit. In a scenario where the balance transfer rates are extremely high, the only way you can exploit 0% APR credit cards is through riskier means such as gambling, investing in stocks, or using a peer-to-peer lending site. The funds that you receive from any of these ventures can be used to reduce your debt. Many individuals have never been able to save up an emergency fund. One of the most exciting solutions is to keep a little 0% balance transfer money in the bank so as to avoid borrowing more funds when your child visits the hospital or your car breaks down. If you have not set up an emergency fund and then, unfortunately, your cash-on-hand is low, a rolling 0% balance transfer can be a low-cost way to take care of the financial emergency. The emergency fund will make sure that you have funds for any unplanned events and thus, your debt repayment plan is not affected by these emergencies. However, you will have to be very disciplined. Do not spend the savings unless you are in the middle of a crisis, and also, ensure that you pay off the full amount or roll it over before the expiration of the introductory period. It is worth mentioning that the 0% APR is only for balance transfers. Any new purchases are subject to a standard interest rate of the credit card, and this will eventually add to your existing debt. 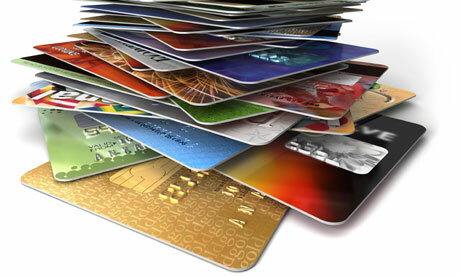 Keep credit cards inaccessible while you are paying off your balances if you want to avoid acquiring extra debt. Debra – Mathematically speaking, if you aren’t paying interest (which can be a significant portion of your monthly payment on higher rate cards), then that money in your payment is going 100% towards paying down the principal. Even if you don’t knock out all of the debt by the time the promotional rate expires, you still will have made much more progress than you would have otherwise. Also, now that your payments have gone towards principal, your total balance owed should be lower and therefore so should your monthly payment. Hope this helps!